ANN ARBOR — Zavier Simpson is Michigan’s gritty point guard, and Jon Teske is the 7-foot-1 center. Together, they anchor the Wolverines’ stellar defense. When they start making 3-pointers, there’s not much an opponent can do. 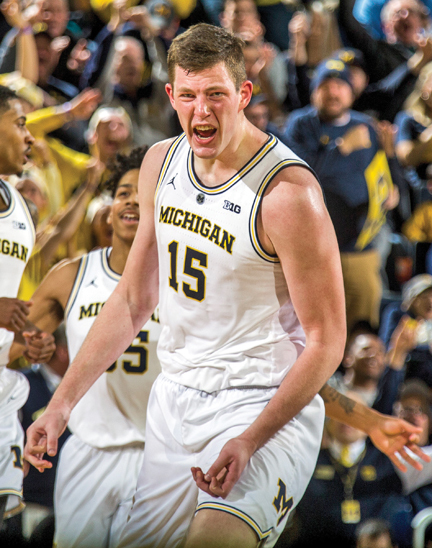 Before Sunday, Teske had made five 3-pointers in 77 games at Michigan. Simpson had shot 28 percent beyond the arc over his 2 1/2 seasons with the Wolverines. Northwestern (10-7, 1-5) was without leading scorer Vic Law, who was out with a lower-body injury.